Past leaders of the Associated Student Body at Univ. MS Medical School honored at reunion. 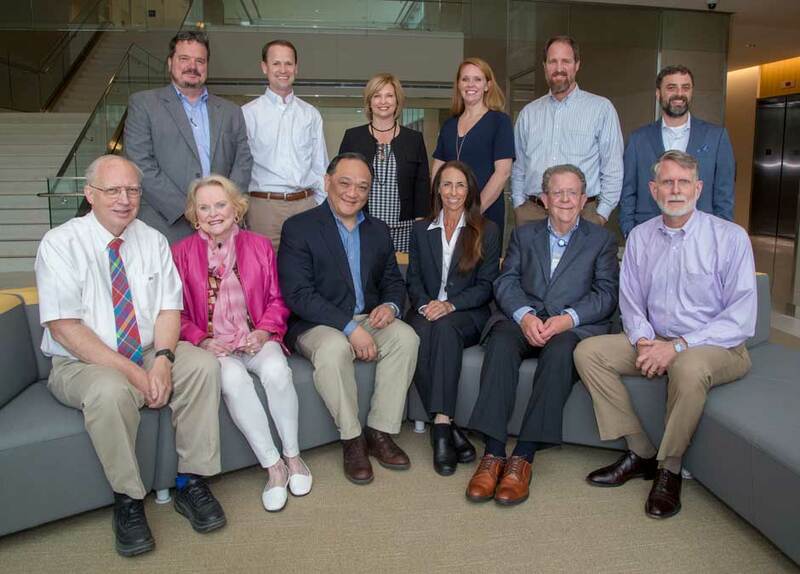 NEW ALBANY, MISS., June 19, 2018 – The University of Mississippi Medical Center recently hosted a reunion for past presidents of the Associated Student Body (ASB). The ASB represents over 2,500 students in seven schools-Medicine, Dentistry, Nursing, Graduate, Health Related Professions, Pharmacy, and Population Health. Chartered in 1989, the ASB has sought to promote the general welfare of each student attending the institution; all while making positive contributions to the community. They are active politically, taking positions on key issues. They are interested in service, inclusion, wellness and interdisciplinary education. They publish a newspaper and yearbook. In addition to delivering a comprehensive recreational sports program to the student body, they plan and deliver a full slate of social activities. Dr. Justin Lohmeier, a radiologist at Baptist Memorial Hospital-Union County, served as ASB President during the 2000-01 academic years. He was elected by the student body during the spring of his third year of medical school and served admirably. Student leadership has made a big difference on this campus and community, often providing the key stimulus needed for significant change. Student leaders are often “outside the box thinkers” and have impacted health care education and health care delivery for those that follow in ways that’s hard to measure. Dr. Lohmeier and other former ASB officers gathered at UMMC on April 27, 2018 for the first ASB Reunion. They enjoyed lunch in the M1 lecture hall of the new School of Medicine and received an update from Dr. LouAnn Woodward, Vice Chancellor and Dean of the School of Medicine. The ASB reunion was co-sponsored by ASB and the Office of Alumni Affairs.